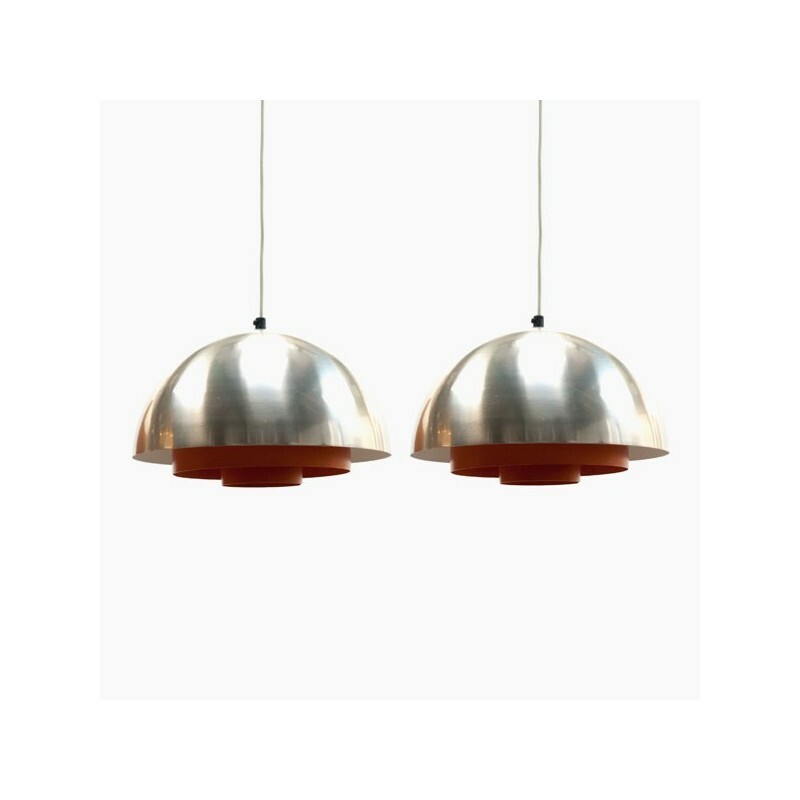 Set of 2 beautiful Scandinavian hanging lamps from the sixties, released by Fog & Morup. 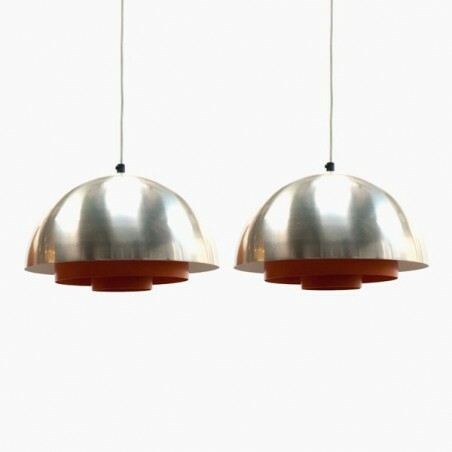 The lamps have a matte metal top and orange metal rings (diffuser), through which the light is nicely spread. The condition is good considering the age, see the detail photos. 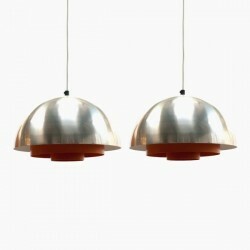 The size is 31 cm in diameter and 20 cm high.